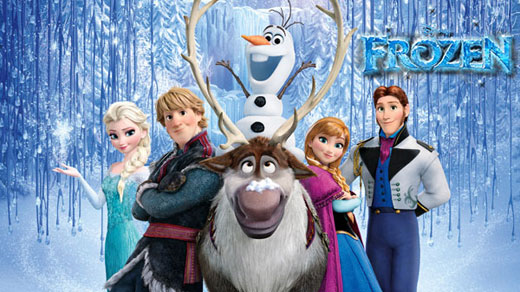 Frozen, the animated film that won the Academy Award for the Best Animated Feature last year was my viewing choice this past weekend. The film struck a chord with me, in its wonderful treatment of the story, the fantastical imagery, the soulful soundtrack, and the message it finally delivered. I couldn’t but realize how female characters are on the rise in animation movies. Frozen is a story about two sisters who help each other find their way in life. 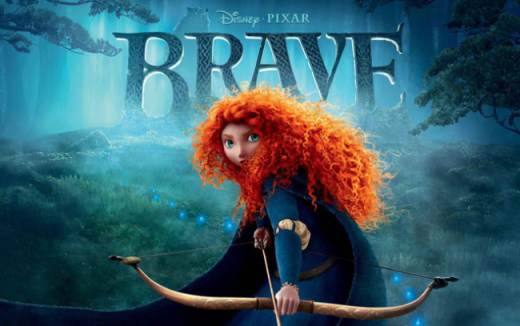 Another female-oriented film, Brave, won the Academy Award in 2012. The movie is about a mother and a daughter who save each other from the tangles of fate. I can’t help wonder at the meaningful messaging both these films convey. Where we were used to watching male characters that made us laugh and cry with their hilarious antics in films like Shrek, Monsters Inc, Ice Age, Finding Nemo, Shark Tale, Ratatouille, Despicable Me, Rango, I could name a zillion, here we are now onto a new dimension with female characters dominating the storyline, teaching us a thing or two about life. Don’t get me wrong, I completely loved the earlier films that were pure fictional entertainment. That was my Friday night unwind-after-work activity. I would usually wake up the next day not remembering a thing about the film except that I had a good time watching it. The films were very creative and innovative and compared well against the real people films in several aspects. I, for one, could relate to many of the characters in certain situations. However, the way that I could totally identify with the female characters in Frozen and Brave was amazing. Do the female-oriented thematic films winning the Oscars two years in a row portray a trend for animation movies in the near future? I sincerely hope so and look forward to more such movies. Catching up with some data from Wikipedia, Frozen is the highest-grossing animated film of all time and the ninth highest-grossing film of all time, in any category. The film won two Academy Awards for Best Animated Feature and Best Original Song, the Golden Globe Award for Best Animated Feature Film, the BAFTA Award for Best Animated Film, five Annie Awards (including Best Animated Feature), and two Critics’ Choice Awards for Best Animated Feature and Best Original Song. Brave was the 13th highest-grossing film of 2012, the eighth highest-grossing Pixar film, and the third highest-grossing animated film in 2012 behind Ice Age: Continental Drift and Madagascar 3: Europe’s Most Wanted. It won the Academy Award for Best Animated Film, the Golden Globe Award for Best Animated Feature Film, and the BAFTA Award for Best Animated Film. It is cited as the first Pixar film with a female protagonist and an audience profile that consisted of 43% male and 57% female. I am happy to note from this that there were many more women who could connect with such films, encouraging a growing segment of female viewership. Definitely a changing trend worth capitalizing on!